Answer: 1960, at the Bronx High School of Science in New York City. A few years later, while a student at Cornell University, I operated and programmed several computers, including the Burroughs 220, which used vacuum tube flip-flops. This eventually led to a career in software. In 1980, I founded The Software Toolworks (later renamed Mindscape) to publish software for 8-bit Heathkit computers. 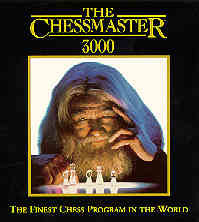 In the mid '80s, I was one of three programmers who designed and created the perennial software hits The Chessmaster and Mavis Beacon Teaches Typing. In 1977 I was one of the founders of Interactive Systems Corp., the first company to produce commercial UNIX systems. Before that, I worked at Bolt Beranek and Newman (later BBN Corp.), the company that created the ARPAnet, which eventually became the Internet. One of the highlights of my stay there was working with Will Crowther, who, with later help from Don Woods, created Adventure, the prototype for an entire genre of computer games. This text-only game explored Colossal Cave, which was based on Lee Cave in Tennessee, which Will, an amateur spelunker, used to drive down from Boston to explore on weekends. In 1981, The Software Toolworks published the game as The Original Adventure. It was endorsed as the "official version" by Crowther and Woods, in return for a small royalty. Although many versions of Adventure were both sold and freely distributed, and although the game spawned an entire segment of the software industry, we were the only company ever to pay Crowther and Woods anything. You can download various versions of Adventure.